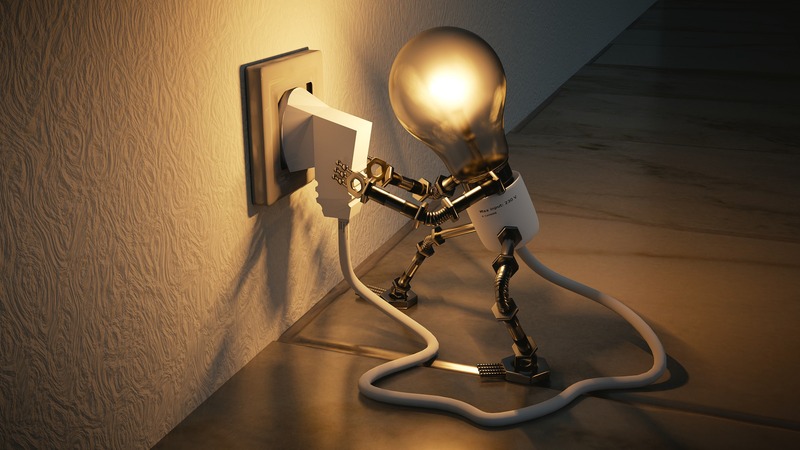 The world is earnestly longing for something that is increasingly rare in our world today. The Bible says, “For we know that the whole creation groaneth and travaileth in pain together until now” (Romans 8:22). “For the earnest expectation of the creature waiteth for the manifestation of the sons of God” (Romans 8:19). The world is waiting for God’s children to be manifested. How are they manifested? Jesus explained, “By this shall all men know that ye are my disciples, if ye have love one to another” (John 13:35). The world is longing to see pure, unselfish love. This is unusual in a world where “the love of many” is growing “cold” (Matthew 24:12). God’s true children are known more for their love than anything else. The Bible says, “Now the purpose of the commandment is love from a pure heart, from a good conscience, and from sincere faith” (1 Timothy 1:5, NKJV). All of God’s instructions can be summed up in two things, love God with all your heart, and love others as yourself. Jesus said, “On these two commandments hang all the law and the prophets” (Matthew 22:40). Love is the foundation of everything. “Love worketh no ill to his neighbour: therefore love is the fulfilling of the law” (Romans 13:10). John exclaimed, “We know that we have passed from death unto life, because we love the brethren. He that loveth not his brother abideth in death” (1 John 3:14). The identifying mark of all those who have the life of God flowing through them is that they genuinely and unselfishly love God and others. Without that love, it does not matter how many religious ceremonies you perform, how correctly you know the teachings of the Bible, or even if you can heal the sick and raise the dead. Without love in your hearts you are destined for eternal death (Matthew 7:22, 23; 1 Corinthians 13:1-3). Jesus shared a story, “A certain man went down from Jerusalem to Jericho, and fell among thieves, which stripped him of his raiment, and wounded him, and departed, leaving him half dead. And by chance there came down a certain priest that way: and when he saw him, he passed by on the other side. And likewise a Levite, when he was at the place, came and looked on him, and passed by on the other side. But a certain Samaritan, as he journeyed, came where he was: and when he saw him, he had compassion on him, And went to him, and bound up his wounds, pouring in oil and wine, and set him on his own beast, and brought him to an inn, and took care of him” (Luke 10:30-34). Three men passed by this injured man, but only one took care of him. The real difference between these men was not what they did, but how they felt about the wounded man. The Samaritan “had compassion on him” which moved him to action. The Levite and Priest would have done the same thing if they had compassion for him. The compassion, or love, was the difference between these men. It is love, or the lack thereof, that will be the determining factor between those who live forever with God and those who perish (Matthew 25:31-46). So love is what we need if we want to live forever, but how do we get it? Have you ever known someone you really don’t like very much, and you wanted to change the way you feel about them? How did that work for you? Love is not something we can generate on our own. In fact, the Bible says, “Beloved, let us love one another: for love is of God; and every one that loveth is born of God, and knoweth God. He that loveth not knoweth not God; for God is love” (1_John 4:7, 8). Love is from God. There are a lot of counterfeits, but true love comes only from God. If you see unselfish love, you can be sure God is the source. Another thing we learn from 1 John 4:7, 8 is that all those who love, know God. There is a direct connection between loving and knowing God. More specifically those who love know first that God loves them. “We love him, because he first loved us” (1 John 4:19). Our ability to love others is directly connected to our knowledge of God’s love for us. He is the source of love, we are a channel. For us to truly love others, His love must flow through us, which starts with knowing His love. The greater our knowledge of His love, the greater we will love others. Deepening our love for God by revealing a greater knowledge of His love is what He is seeking to accomplish in this world. Look at what the Bible says will be the result of this work: “For this cause I bow my knees unto the Father of our Lord Jesus Christ, Of whom the whole family in heaven and earth is named, That he would grant you, according to the riches of his glory, to be strengthened with might by his Spirit in the inner man; That Christ may dwell in your hearts by faith; that ye, being rooted and grounded in love, May be able to comprehend with all saints what is the breadth, and length, and depth, and height; And to know the love of Christ, which passeth knowledge, that ye might be filled with all the fulness of God” (Ephesians 3:14-19). God wants us to be filled with all the fullness of God. For this to happen our understanding of His love must grow. In fact, our growth in Christ is in proportion to our understanding of God’s love. Love is the agent God uses to expel sin from the heart. Are you struggling with addiction? You need a greater revelation of God’s love. Are you losing your temper? You need a greater revelation of God’s love. Are you failing in your relationships? You need a greater revelation of God’s love. Whatever your problems in life, you need a greater revelation of God’s love. The more of God’s love you see, the more of His love will flow through you (Matthew 6:22). Our love for God is dependent on knowing His love for us. Right after John explained that we must know God before we are able to love (1 John 4:7, 8), he wrote, “In this was manifested the love of God toward us, because that God sent his only begotten Son into the world, that we might live through him. Herein is love, not that we loved God, but that he loved us, and sent his Son to be the propitiation for our sins” (1_John 4:9-10). God demonstrated His great love by giving His most valuable gift. “He that spared not his own Son, but delivered him up for us all, how shall he not with him also freely give us all things?” (Romans 8:32). Since God is willing to give His Son, we can be sure He will give everything for us. Abraham was asked to give the ultimate sacrifice. God told him, “Take now thy son, thine only son Isaac, whom thou lovest, and get thee into the land of Moriah; and offer him there for a burnt offering upon one of the mountains which I will tell thee of” (Genesis 22:2). God could not have asked him to give a greater sacrifice. Abraham willingly obeyed the command, yet God stepped in to keep him from harming his child (verse 10-12). This tested Abraham’s loyalty to the extreme. If God would have asked him to sell everything and give to the poor, we can be sure he would have done it. How do we know? He was willing to give something greater! If he was willing to give the greatest gift, then we can be sure he would have given everything else. The incredible selflessness of the son to give his own life was secondary to the father who was willing to give his son. Some fathers don’t love their children very much, so they may sacrifice their children to selfishly cling to their own lives. But for Abraham it was not that way. Abraham loved his son immensely; in him rested all his hopes for the future (Genesis 15:2-6). The focus of Abraham’s story in this test was on the father’s love, not the son. Abraham’s willingness to give his son was a greater sacrifice than if Abraham would have given his own life. I am certain that Abraham would have been much more willing to die than to participate in the death of his son. This story was not given just to show Abraham’s dedication, but to teach the world a lesson about God’s great love. This was a demonstration of how much God is willing to do for us. God’s love for His Son far exceeds Abraham’s love for Isaac (John 3:35; 5:20), and still God is willing to give Him up for us. It was a struggle, even for the King of the universe, to yield up His only begotten Son. “For God so loved the world, that he gave his only begotten Son, that whosoever believeth in him should not perish, but have everlasting life” (John 3:16). The love on the part of our Father in giving His Son is greater than if He would have died Himself, which would have been impossible (1 Timothy 6:13-16). One of the saddest statements I have ever read was found on a church sign that said, “God condemns, but Jesus saves.” This is very far from the truth! It is terrible that this was put on the front of a church. It presents God as if He is eager to condemn us and Jesus stepped in to save us from His Father. It was the Father who sent His Son to save us! “For God sent not his Son into the world to condemn the world; but that the world through him might be saved” (John 3:17). The Son was here on a mission to save the world for His Father, not from His Father. “For the Father himself loveth you…” (John 16:27). Right after John expressed the amazing love of God in giving His Son, he wrote, “For whatsoever is born of God overcometh the world: and this is the victory that overcometh the world, even our faith. Who is he that overcometh the world, but he that believeth that Jesus is the Son of God?” (1 John 5:4, 5). Our ability to overcome is dependant upon believing that “Jesus is the Son of God.” Why is this so important? The Sonship of Christ is the key to knowing God’s love. If Jesus is not God’s Son, what happens to the love of God? Suppose He was just a human, what then? God’s love would be reduced to “God so loved the world that He gave a human.” That would be some amount of love, but it would fall far short of the reality of giving His Son. He could remain selfish and give a human. What if Jesus was an angel? Again, we would have the same problem. Our understanding of God’s love is directly connected to the value of the gift He gave for us. If it was anything less than His most valued possession, we could not be sure He loves us with all His heart. If we cannot see that He loves us with all His heart, then it will be impossible for us to love Him with all our hearts. Yet, this is the first and greatest commandment (Matthew 22:38). What if Jesus was God’s best friend? Would that change things? Suppose I tell you “I love you so much that I am going to send my friend to die for you?” What would you think then? You may appreciate my friend’s love, but you would question my love. You might ask, “Why don’t you come yourself instead of sending your friend?” But if I said, “I love you so much I am going to send my only begotten son to die for you.” Would that be different than me sending my friend? Of course it would! Near the end of his gospel, John wrote, “And many other signs truly did Jesus in the presence of his disciples, which are not written in this book: But these are written, that ye might believe that Jesus is the Christ, the Son of God; and that believing ye might have life through his name” (John 20:30, 31). John emphasized that the whole reason he took the time to write his gospel was to get across one point, “Jesus is the Christ, the Son of God,” so that you might have life through Him. John knew that this is the key to victory in our lives because it reveals the incredible love of God. Jesus also emphasized this fact when He asked His disciples, “Whom do men say that I the Son of man am? And they said, Some say that thou art John the Baptist: some, Elias; and others, Jeremias, or one of the prophets. He saith unto them, But whom say ye that I am? And Simon Peter answered and said, Thou art the Christ, the Son of the living God. And Jesus answered and said unto him, Blessed art thou, Simon Barjona: for flesh and blood hath not revealed it unto thee, but my Father which is in heaven. And I say also unto thee, That thou art Peter, and upon this rock I will build my church; and the gates of hell shall not prevail against it” (Matthew 16:13-18). Jesus was so excited about Peter’s confession that He exclaimed, This revelation came from “my Father in heaven,” and “upon this rock I will build my church.” The rock Jesus was referring to was the confession Peter made about Jesus. The rock is not just Jesus, but Jesus as “the Christ, the Son of the living God.” The foundation of God’s church is the identity of Jesus as the only begotten Son of God. Everything hinges upon this truth, for this is the key to understanding God’s love. At the beginning of His public ministry, God proclaimed about Jesus, “This is my beloved Son, in whom I am well pleased” (Matthew 3:17). Jesus went directly away from that proclamation and Satan came to Him saying, “If thou be the Son of God,…” (Matthew 4:3), and again, “If thou be the Son of God,…” (Matthew 4:6). Jesus knew who He is, and had just heard His Father proclaim it from heaven. His success here was dependent upon His knowledge of His identity. Our success is also dependent upon knowing His identity, which gives us our identity as God’s children. “And because ye are sons, God hath sent forth the Spirit of his Son into your hearts, crying, Abba, Father” (Galatians 4:6). Perhaps you are wondering why the Bible stresses the sonship of Christ so emphatically. If He is anyone other than “the only begotten Son of God” (John 3:18), the whole plan of salvation crumbles and God’s love is left in question. This would leave us unable to love God with all our hearts, for our love is directly dependent upon knowing God’s love for us (1 John 4:19). John the Baptist was sent to prepare the way for Christ. He proclaimed, “And I saw, and bare record that this is the Son of God” (John 1:34). Nathanael, a man of whom Jesus said, in him “there is nothing false” (John 1:47, The Bible in Basic English), proclaimed, “Rabbi, thou art the Son of God” (John 1:49). Jesus said of Himself, “I said, I am the Son of God?” (John 10:36). When His disciples were amazed by His authority over the storm, “Then they that were in the ship came and worshipped him, saying, Of a truth thou art the Son of God” (Matthew 14:33). Martha said to Jesus, “I believe that thou art the Christ, the Son of God, which should come into the world” (John 11:27). Even the devils knew who Jesus is, and proclaimed “Thou art Christ the Son of God” (Luke 4:41; See also James 2:19). When Jesus was condemned to die, the main accusation was “We have a law, and by our law he ought to die, because he made himself the Son of God” (John 19:7). The Jewish high priest said, “I adjure thee by the living God, that thou tell us whether thou be the Christ, the Son of God” (Matthew 26:63). When He was on the cross some jeeringly said, Thou that destroyest the temple, and buildest it in three days, save thyself. If thou be the Son of God, come down from the cross” (Matthew 27:40). The chief priests said, “He trusted in God; let him deliver him now, if he will have him: for he said, I am the Son of God” (Matthew 27:43). When Jesus finally died, a Roman soldier said, “Truly this man was the Son of God” (Mark 15:39). After His resurrection the disciples referred to Jesus as God’s “holy child” (Acts 4:27, 30). When Philip was teaching an Ethiopian man who wanted to be baptized, he said to him, “If thou believest with all thine heart, thou mayest. And he answered and said, I believe that Jesus Christ is the Son of God” (Acts 8:37). Immediately after Paul was converted, “…straightway he preached Christ in the synagogues, that he is the Son of God” (Acts 9:20). Paul proclaimed, that Jesus was “declared to be the Son of God with power, according to the spirit of holiness, by the resurrection from the dead” (Romans 1:4). He also wrote, “Seeing then that we have a great high priest, that is passed into the heavens, Jesus the Son of God, let us hold fast our profession” (Hebrews 4:14). John wrote, “Whosoever shall confess that Jesus is the Son of God, God dwelleth in him, and he in God” (1 John 4:15). “He that believeth on the Son of God hath the witness in himself: he that believeth not God hath made him a liar; because he believeth not the record that God gave of his Son. And this is the record, that God hath given to us eternal life, and this life is in his Son. He that hath the Son hath life; and he that hath not the Son of God hath not life” (1 John 5:10-12). The Scriptures powerfully proclaim Jesus to be the actual, literal, only begotten Son of God. The Father Himself declared from heaven twice, “This is my beloved Son, in whom I am well pleased” (Matthew 3:17; 17:5; 2 Peter 1:17). What are we to make of this? It would appear that God wants us to believe that Jesus is His true Son. What does this mean? When Jesus came into this world He became “the son of man” (Matthew 18:11), but His mission on earth did not change His status as the Son of God. It is true that on earth He had no earthly Father, but His birth on this earth is not what made Him the Son of God, for He was God’s Son before coming into the world (John 1:15; 6:62; 8:42; Joshua 5:13-15). “For God sent… his Son… that the world through him might be saved” (John 3:17). “And we have seen and do testify that the Father sent the Son to be the Saviour of the world” (1 John 4:14). “In this was manifested the love of God toward us, because that God sent his only begotten Son into the world, that we might live through him” (1 John 4:9). The sonship of Christ was not dependent upon Him coming into this world. If Jesus would have never left his seat “on the right hand of God” (Colossians 3:1), He would still be God’s Son. When God gave His Son to be born of a human, that alone was a great sacrifice, yet He “humbled himself, and became obedient unto death, even the death of the cross” (Philippians 2:8). He will forever bear the weight of humanity upon Him. For all eternity it will be possible that “one shall say unto him, What are these wounds in thine hands? Then he shall answer, Those with which I was wounded in the house of my friends” (Zechariah 13:6). He says, “Can a woman forget her sucking child, that she should not have compassion on the son of her womb? yea, they may forget, yet will I not forget thee. Behold, I have graven thee upon the palms of my hands; thy walls are continually before me” (Isaiah 49:15). God’s love is amazing! It is thrilling to behold! In the eighth chapter of Proverbs Wisdom is said to have a mouth and love (Proverbs 8:1, 8, 17). Who is Wisdom? “But unto them which are called, both Jews and Greeks, Christ the power of God, and the wisdom of God.… But of him are ye in Christ Jesus, who of God is made unto us wisdom, and righteousness, and sanctification, and redemption” (1 Corinthians 1:24, 30). “Wisdom” is a title that is applied to God’s Son, just as He also has the title, “the Word of God” (Revelation 19:13) because He speaks for God (John 3:34). Jesus is an actual Person, not just God’s knowledge, even though He has the title of Wisdom. The Son of God declared concerning Himself, “When there were no depths, I was brought forth; when there were no fountains abounding with water. Before the mountains were settled, before the hills was I brought forth” (Proverbs 8:24, 25). The Geneva Bible says, “When there were no depths, was I begotten, when there were no fountains abounding with water. Before the mountains were settled: and before the hills, was I begotten.” The Bible in Basic English plainly says, “When there was no deep I was given birth, when there were no fountains flowing with water. Before the mountains were put in their places, before the hills was my birth.” That is astounding! Jesus claims that He was born before anything was created. The definition for the form of the original Hebrew word used here is “to be born, to be brought forth” (Gesenius’ Hebrew-Chaldee Lexicon). This verb in this form is only used three places in the Bible, and here are the other two Scriptures where it is used: “Art thou the first man that was born? or wast thou made before the hills?” (Job 15:7). “Behold, I was shapen in iniquity; and in sin did my mother conceive me” (Psalm 51:5). As we can plainly see, the term “brought forth” in Proverbs 8:24, 25 can mean nothing other than being begotten, or born. Let us continue reading in Proverbs chapter eight and learn more about the characteristics of God’s dear Son. “While as yet he had not made the earth, nor the fields, nor the highest part of the dust of the world. When he prepared the heavens, I was there [See John 1:1-3]: when he set a compass upon the face of the depth: When he established the clouds above: when he strengthened the fountains of the deep: When he gave to the sea his decree, that the waters should not pass his commandment: when he appointed the foundations of the earth: Then I was by him, as one brought up with him: and I was daily his delight, rejoicing always before him; Rejoicing in the habitable part of his earth; and my delights were with the sons of men.… For whoso findeth me findeth life, and shall obtain favour of the Lord. But he that sinneth against me wrongeth his own soul: all they that hate me love death” (Proverbs 8:26-36). The speaker here says that He was brought up with the Lord and was daily His delight, and rejoiced always before Him. This is a real Person. He then says, “For whoso findeth me findeth life.” John wrote, “He that hath the Son hath life; and he that hath not the Son of God hath not life” (1 John 5:12). Jesus Christ is the one speaking about Himself in Proverbs chapter eight. He is truly the Son of God, just as John wrote, “the Lord Jesus Christ, the Son of the Father, in truth and love” (2 John 1:3). The terms Father and Son, by definition, indicate the existence of one before the other. This may be why the Father is called, “the Ancient of days” (Daniel 7:9, 13). This was the understanding of the Israelites. In the book of Proverbs we read: “Who hath ascended up into heaven, or descended? who hath gathered the wind in his fists? who hath bound the waters in a garment? who hath established all the ends of the earth? what is his name, and what is his son’s name, if thou canst tell?” (Proverbs 30:4). When Jesus was here the Jews did not dispute the fact that God has a Son, they disputed Jesus’ claim to be God’s Son. “The Lord… begets me before all the hills.” He adds: “You perceive, my hearers, if you bestow attention, that the Scripture has declared that this Offspring was begotten by the Father before all things created; and that that which is begotten is numerically distinct from that which begets, any one will admit” (Justin Martyr, Dialogue with Trypho, Chapter 129). Novatian (210-280 AD) wrote, “God the Father, the Founder and Creator of all things, who only knows no beginning, invisible, infinite, immortal, eternal, is one God;… of whom, when He willed it, the Son, the Word, was born… the Father also precedes Him,… Because it is essential that He who knows no beginning must go before Him who has a beginning;… [The Son has] an origin because He is born, and of like nature with the Father in some measure by His nativity, although He has a beginning in that He is born, inasmuch as He is born of that Father who alone has no beginning” (Novation, Ante Nicene Fathers, Volume 5, On the Trinity, Chapter 31). The vast majority (at least 279 of 318) of the bishops at the Council of Nicaea in 325 AD were led by Eusebius of Caesarea, who quoted Proverbs 8 as referring to Jesus, and maintained that He was literally “begotten… the first and only offspring of God” (Eusebius’ Ecclesiastical History, Chapter 2, page 15). Some people have mistakenly concluded that God used the terms “Father” and “Son” to get across to our feeble minds a divine relationship (not Father and Son) that they could not possibly explain in our language. To come to this conclusion one would have to assume that God just happened upon this strange type of beings who have a strange language and manner of reproduction, and then was left struggling to explain Himself to these strange creatures. You would have to forget that God created our language and designed our manner of reproduction, after He already had a Son. God designed us with the ability to have a son, and then He exclaimed of Jesus, “This is my beloved Son…” (Matthew 3:17; 17:5). 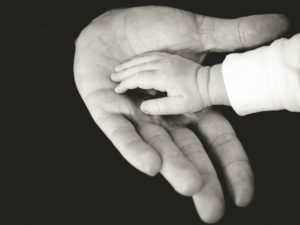 He made us this way on purpose so we could say, “I get it, I know what a son is.” God means what He says even regarding our human relationships of father and son that He designed in His own image. According to the Bible, Jesus Christ was begotten, which literally means born, before anything was created—long before God sent Him into the world (Colossians 1:15-17). How He was begotten is not for us to know (Deuteronomy 29:29), but God wants us to realize that He and His Son have a close, genuine, father-son relationship that is not just a role, or an act. It is this fact that guarantees Jesus to be just like His Father, and guarantees that God giving His Son was the ultimate sacrifice, proving beyond a shadow of a doubt that “God is love” (1 John 4:8). The first chapter of Hebrews contains the strongest collection of verses used to prove the exalted nature of Christ above all creatures. Paul wrote, “God, who at sundry times and in divers manners spake in time past unto the fathers by the prophets, Hath in these last days spoken unto us by his Son, whom he hath appointed heir of all things, by whom also he made the worlds” (Hebrews 1:1, 2). God appointed His Son to be the heir of all things. An heir is “one who receives his allotted possession by right of sonship” (Thayer’s Greek Lexicon). All things the Son has, He received from His Father, including life itself. Jesus said, “For as the Father hath life in himself; so hath he given to the Son to have life in himself.” (John 5:26). Continuing in Hebrews we read, “Who being the brightness of his glory, and the express image of his person, and upholding all things by the word of his power, when he had by himself purged our sins, sat down on the right hand of the Majesty on high” (Hebrews 1:3). An image is a likeness of the original. In this case, Jesus is called, “the express image” of His Father. Thayer’s Greek Lexicon defines this as a, “precise reproduction in every respect.” As the Son of God, Jesus Christ is the image, or reproduction, of His Father. It is impossible to be an image and the original at the same time. You can be one or the other, but not both. Would it be right or proper to say that the Father is the image of the Son? No, and that is likely why He is never referred to in this manner, because He is the original. People have approached me saying, “Your son looks just like you.” It would be rare for a person to say, “You look like your son.” Why? My son is the image of me, not the other way around, because I came first. Continuing, Paul wrote, “Being made so much better than the angels, as he hath by inheritance obtained a more excellent name than they” (Hebrews 1:4). By right of sonship, Jesus Christ received a more excellent name than the angels. Angels are not literal sons, and therefore do not receive what Christ naturally inherits because He really is God’s Son. Paul continued, “For unto which of the angels said he at any time, Thou art my Son, this day have I begotten thee? And again, I will be to him a Father, and he shall be to me a Son?” (Hebrews 1:5). Notice the argument Paul uses to distinguish Jesus from the angels. Over and over again he argues that Jesus is better because He is the Son of God, because He was “begotten,” because He is “the express image” of His Father, because He is the “heir of all things,” because He naturally receives an “inheritance” from His Father. Paul wrote, “And again, when he bringeth in the firstbegotten into the world, he saith, And let all the angels of God worship him. And of the angels he saith, Who maketh his angels spirits, and his ministers a flame of fire. But unto the Son he saith, Thy throne, O God, is for ever and ever: a sceptre of righteousness is the sceptre of thy kingdom” (Hebrews 1:6-8). Here, Paul is telling us that Jesus is divine because He is really God’s Son. His language used to emphasize this is abundantly clear. Jesus is better than the angels because He was literally born of His Father, which cannot be said of any of anyone else. When Paul comes to the point of Jesus being called God, he wrote, “But unto the Son he [the Father] saith, Thy throne, O God, is for ever and ever: a sceptre of righteousness is the sceptre of thy kingdom. Thou hast loved righteousness, and hated iniquity; therefore God, even thy God, hath anointed thee with the oil of gladness above thy fellows” (Hebrews 1:8, 9). As the Son of God, Jesus is, by right of inheritance, God by nature. A true Son of God could be nothing else or nothing less than God. There is a law in nature that creatures can only have offspring “after their kind” (Genesis 1:24, 25). 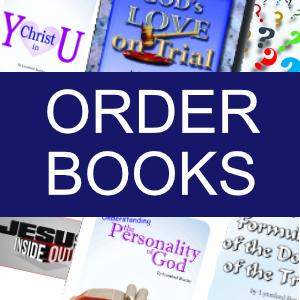 The offspring of a dog is always a dog, the offspring of a bird is always a bird, the offspring of a human is always a human, and the offspring of God, naturally is God. It is right and proper to refer to Jesus Christ as “God,” for God, the Father Himself calls Him, “God.” Yet, in the same breath, the Father makes it clear that He is the God of His Son. He says, “thy God, hath anointed thee…” Jesus is God, yet He has a God above Him who is also His Father. Paul wrote, “That the God of our Lord Jesus Christ, the Father of glory, may give unto you the spirit of wisdom and revelation in the knowledge of him” (Ephesians 1:17). Jesus said to Mary, right after His resurrection, “Touch me not; for I am not yet ascended to my Father: but go to my brethren, and say unto them, I ascend unto my Father, and your Father; and to my God, and your God” (John 20:17). Jesus told His disciples that His God is the same God as their God. He also explained who this God is, the Father. He assured the disciples that His Father, is also our Father, and His God is also our God. Long after His resurrection, Jesus promised, “Him that overcometh will I make a pillar in the temple of my God, and he shall go no more out: and I will write upon him the name of my God, and the name of the city of my God, which is new Jerusalem, which cometh down out of heaven from my God: and I will write upon him my new name” (Revelation 3:12). Paul wrote, “But I would have you know, that the head of every man is Christ; and the head of the woman is the man; and the head of Christ is God” (1 Corinthians 11:3). In explaining heirarchy, Paul stopped when he came to God. Why? He can’t go any higher! The Father is “the most high God,” and is the head of Christ. The Father is the only being in the Bible given the titles, “most High” (Mark 5:7) or “the Highest” (Luke 1:32). The Bible says there is, “One God and Father of all, who is above all, and through all, and in you all” (Ephesians 4:6). And again, “As concerning therefore the eating of those things that are offered in sacrifice unto idols, we know that an idol is nothing in the world, and that there is none other God but one. For though there be that are called gods, whether in heaven or in earth, (as there be gods many, and lords many,) But to us there is but one God, the Father, of whom are all things, and we in him; and one Lord Jesus Christ, by whom are all things, and we by him” (1 Corinthians 8:4-6). The Bible is clear that “there is but one God, the Father,” and “there is none other God but one.” Jesus proclaimed the same in His closing prayer at the Last Supper: “These words spake Jesus, and lifted up his eyes to heaven, and said, Father,… And this is life eternal, that they might know thee the only true God, and Jesus Christ, whom thou hast sent” (John 17:1-3). Jesus said His Father is “the only true God.” That would mean there is none other “true God,” but what does that mean. The Greek word translated “true” here is also used in Hebrews where Jesus is said to be “A minister of the sanctuary, and of the true tabernacle, which the Lord pitched, and not man” (Hebrews 8:1-2). Here the word “true” is used to distinguish the original from its likeness or image. The original tabernacle is the one God pitched in heaven, and the image or copy is the one Moses built on earth. There is only one true (original) tabernacle. The Father is the “only true [original] God,” and His Son is the “express image” of “the invisible God” (Hebrews 1:3; Colossians 1:15). This in no way detracts from the exalted nature of the Son of God, for He was “in the form of God” and the Father has “highly exalted him, and given him a name which is above every name” (Philippians 2:6, 9). The Bible declares that love is the foremost identifying characteristic of God’s people. All of the ceremonies and rituals no matter how strictly observed are useless without God’s love in our hearts. The presence of love in our hearts is the sign that we have “passed from death unto life” (1 John 3:14). All true, unselfish love only comes from God, and we can have it by being born again and knowing God’s love for us (1 John 4:7-19). Our ability to love is in proportion to our knowledge of God’s love for us. This love is demonstrated in many ways, but the incredible love of God in giving His Son is unparalleled in the universe. It is this great gift that will be the theme of our study for eternity. The Bible links our ability to love others and overcome the world to knowing that God gave His Son to die for us (1 John 4:7; 5:5; Romans 5:8). Knowing the identity of Jesus Christ as the Son of God is the key for us to see our standing before God as His beloved children. “Beloved, if God so loved us, we ought also to love one another” (1 John 4:11). Failing to find words to adequately express the amazing love of God, John simply said, “Behold, what manner of love the Father hath bestowed upon us, that we should be called the sons of God…” (1 John 3:1). Behold the love of God! Spend a thoughtful hour each day contemplating the unspeakable gift of God. “Thanks be unto God for his unspeakable gift” (2 Corinthians 9:15). Any man-made theory about the identity of Jesus that diminishes the great gift God gave for us, must be viewed with suspicion. “…let God be true, but every man a liar” (Romans 3:4). That includes me! Don’t take my word for anything, but accept God’s word for everything, for He “cannot lie” (Titus 1:2). I pray that we will accept what the Bible says about Jesus and fall in love with God more and more each day. The key to success in this life and access to the life to come is knowing God’s love. This knowledge will improve every aspect of your life. The greater your knowledge of His love, the greater you will succeed in life (Daniel 11:32). You will still have trials and tribulation, but it is so much easier to handle knowing you are loved by the Creator of all things, who made the vast galaxies and complex cells, and thought the universe needs one of you too. God does not promise to remove all difficulties from your life, but He does promise to be with you through it all (Matthew 28:20; Hebrews 13:5; John 14:18). Do everything in your power to increase your knowledge of God’s love, for this will trickle down to the way you treat everyone around you. One thing that I have found to be very helpful is listening to the Bible often. This can easily be done by downloading a free MP3 copy from www.audiotreasure.com. I have put it on my phone and play it almost all the time. My son asked me, “How many times have you heard that, Dad?” I don’t know, but it has been a lot. I have learned so much this way, and learn new things every time I listen. A really nice thing about listen-ing to it is you can get a large context of what the Bible is saying. If you cannot access it on a computer, get someone to help you. You can also call them to get a CD at 757-741-8457. Regardless how you do it, focus on enlarging your knowledge of God’s love, and ask Him to show you more each day. The last message of mercy to be given to the world is a revelation of God’s character of love. I pray that you will be blessed with many reasons to rejoice after seeing a deeper picture of God’s love every day. 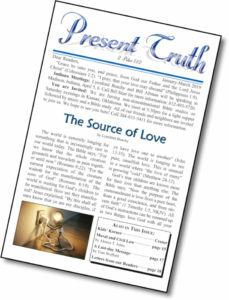 Thank you for the article you sent me this year entitled “The Source of love.” Indeed, love is the most and the best attribute of our Elohim bestowed upon human being most especially to the people of Elohim. I really appreciated the presentation you made and the message you composed about love. It is really powerful and amazing. However, no matter how powerful and convincing the message is but if it is not presenting the whole truth, such a message is deficient and lacking the most vital ingredients of the message of love. Why did I say this intriguing comment? Let me quote Proverbs 30:4 that you also quoted in your article. Now that we already knew the sacred Name of the Father, it is but proper to know His Son’s Name also. Acts 26:13 “at midday along the highway, O sovereign, I saw a light from heaven, brighter than the sun, shining around me and those who journeyed with me. The Texts quoted above clearly shows that the Father’s Name is YHWH pronounced as YAHUWAH while the Son’s Name is YHWSO pronounced as Yahushua. Meanwhile the name Jesus Christ is not the name of the Savior because aside from there is no letter “J” & “C” in the Hebrew Alphabet also there is no letter: J” in the Greek alphabet. Besides the letter “J” was just invented by Gian Gregorio Trissino, an Italian grammarian in 1524 where the New Testament was already finished more than 15 centuries before the letter “J” was discovered. Furthermore, translators of the New Testament who were mostly Greeks whose deity is Zeus translated that name to Iesus. But when the letter “J” was invented in 1524 as stated above the Greek bible translator changed the letter “I” to letter “J” thus the name Jesus came into the picture. Thus from the pagan God ZEUS to IESUS and finally to the name JESUS Thus the name Jesus originated from the name of pagan god, Zeus. Other people argued that the name of the deity could be translated to any language as well as the name of the Son. But we must bear in mind that the Names of the Father and the Son are sacred Names and could not be translated to any other names by mere human being. The only names changed in the Bible by human are Joseph to Sapnath Paniah, Daniel to Beltesthatsar, Hananyah to Shadrak, Mishael to Meyshak and Azaryah to Abed-Nego while Abram to Abraham, Sarai to Sarah and Jacob to Israel was changed by Elohim Himself while Shimon was change to Peter by Yahushua. Let me give a typical example: My real name is Anacleto Cortezano, Jr. I went to Australia, China and to USA, but my real name written in my Passbook VISA was never change. Your name is Lynnford Beachy, right? If someone will call you Oxford Betchay, I suppose you will not response to any call from anyone who calls you in that name because that name is not you, right? In like manner our heavenly Father has His own real Name YHWH pronounce as YAHUWAH and his only begotten Son likewise has His own Name YAHUSHUA Mashiah. If you are calling him in a pagan name Jesus Christ you are insulting Him because you are calling Him falsely. Clear as the noon day that we warned not to bow down or serve other gods nor mention their names in our lips. How do people speak against Yahuwah wickedly and take His name in vain? 1. By calling the name of Abba Yahuwah into other names such god, lord and Jehovah which is a blatant insult to the Creator. 2. Some people call Him in the way of just an express such as oh! “My God, Oh my God, Oh my God”. 3. Homosexual in our country calls Him “Dios ko Dai” Which is a joke made by homosexual. 4. The title LORD was attributed to drug lord, gambling lord, land lord, praise the lord which means praise baal. 5. Meanwhile the Name of the Son which is Yahushua changed to Jesus calls that name in this manner “sus-maria, josep. Which means that using the name of jesus, marry and joseph to allegedly prevention from demons and accident. 6. Furthermore, in the cockpit arena the person mediate for the cockpit enthusiast is called Kristo. Thus the name Kristo or Christ was being used in vain. 7. Some people also swear to god although they are telling lies. Furthermore, please bear in mind that human being like us has no right and authority to change the sacred names of the Father and the Son. Now, although your article about “The Source of Love” is highly commendable to those who do not know the real Names of the Father and the Son yet, but to those who knew their sacred Names, in your article you are mixing truth and error, thus ultimate it became error or false teaching. I hope you will consider this very important advice from a friend if you still considered me as a friend. May Abba Yahuwah Bless you as you study this message of truth, in the Name of Yahushua Mashiah. Halleluyah!